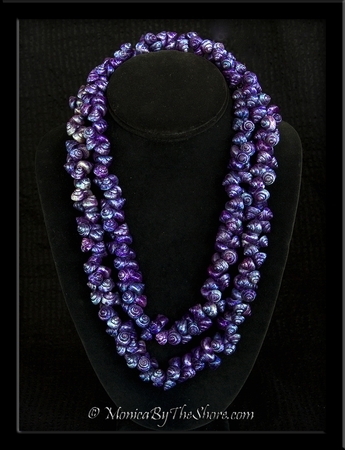 Own a piece of history with this antique, beautifully colored deep purple Trochus Shell lei necklace. 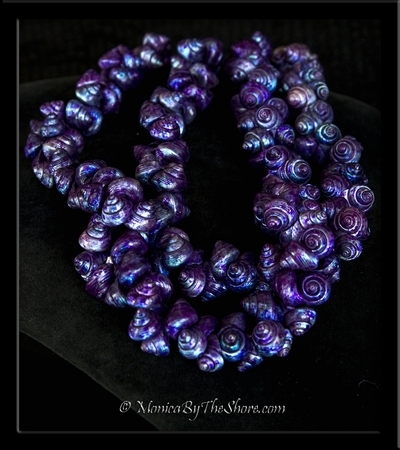 If you love the color purple this is the perfect statement piece for you! The lei necklace is a total of 42 inches in length, it is shown as to be worn doubled in this photo. This vintage seashell jewelry is of the 1940s WWII era. A beautiful piece of Polynesian jewelry with so much history, and quite the conversation piece! A great addition to any vintage jewelry collection and a gorgeous accessory to wear in your aloha wear fashion wardrobe.